While sitting on our bed/desk in Istanbul for two weeks (with terrible internet), I realized something. Although Cappadocia must be the dream-location that everyone’s made it out to be, we could skip it and make much better use of our time by visiting some off-the-beaten-path locations. Or, at least places that weren’t as touristy. You’re probably thinking what a lot of people told me: not visiting Cappadocia is a mistake! And yet, I think it’s a mistake to visit Spain and only see Madrid or Barcelona; not because they’re not great, but because it’s where everyone else goes, and there are so many other incredible places to visit. After all of these months traveling through crowded and overpriced places (“Disneyland cities,” as I like to call them), a lot of it has lost some of its charms for us. And even if some of these locations are true wonders, sometimes we just prefer to do something different. And in this case, it was the right choice: we decided to visit the Mediterranean Turkish Coast. We rented a car for a week, something we don’t often do because of our budget. In Antalya, however, we were able to find an amazing deal with a budget car rental company that lent us a car for 8 days for a total of $100. It’s impossible to explore a place as we did without having a car; you can probably get to all of those places, but you’d have to use buses and some private transportation, too, all of which bring up the cost and time of the trip. We explored some of the most beautiful places that we’ve ever seen, and because of that, we wanted to share our one-week, see-all route of the Mediterranean coast of Turkey. First stop, Antalya. 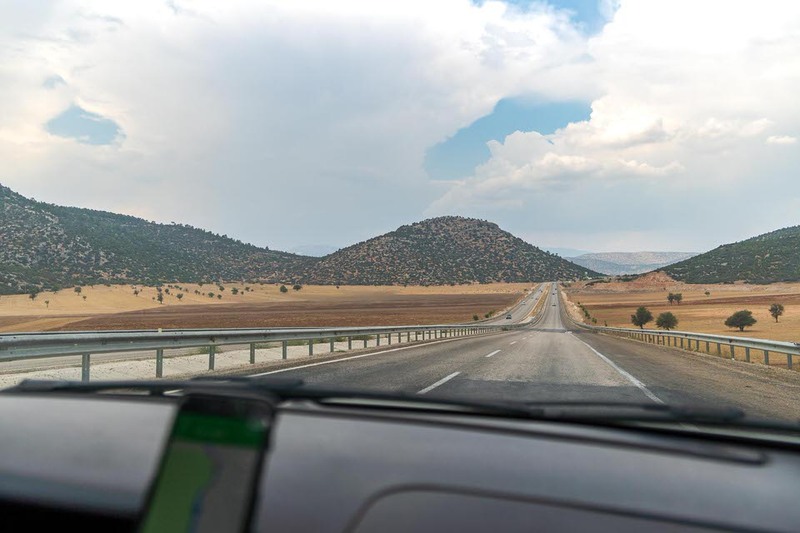 We picked this city to start our road trip because it is home to one of the leading Turkish airports, which means it has plenty of affordable national and international flights, making it easy to get to this part of the country. We didn’t spend much time here: we strolled around Antalya the night we got there and rented a car the next morning, leaving off to our adventure. The best experience we had in this city was the night we returned from our Turkey road trip. For our final night, we booked an Airbnb last-minute (click here for a $40 discount off your first reservation!). We were prepared to spend the night in our car because the flight was really early in the morning — but decided against it because we were too tired. We needed a bed. As tired as we were, we ended up spending the night hanging out with our flatmates, two Kurdish roommates and an Indonesian Airbnb-er (now friends of ours), and had an amazing time sharing tea, nargile (hookah), and stories. This is the best part of traveling. Because of our last minute Airbnb rental, we have great memories of Antalya. Lake Salda is one of those locations that popped out at me while researching our road trip, and it was an entirely random choice. I saw Pamukkale, thought it was gorgeous, and immediately started looking into it. Well, photos don’t do this place justice. This is one of the most photogenic places we’ve ever visited. 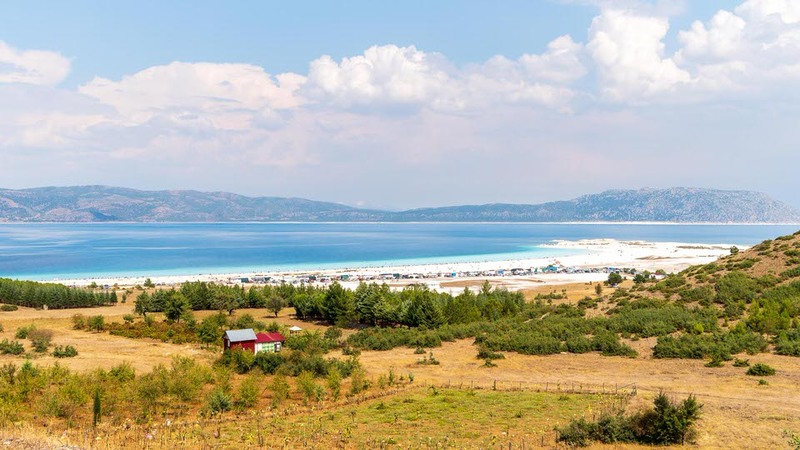 Lake Salda is a crater lake with mesmerizing blue waters and porcelain-colored white rocks and sand that make this place incredibly popular with locals for weekend excursions and, of course, wedding photoshoots. We probably saw four wedding shoots going on at the same time there! There’s one more thing that makes this place unforgettable: the shore. The sand bordering the beach is practically like quicksand, forcing you to sink into it as you walk towards the beautiful water. Otherwise, Lake Salda is also known for the helpful mineral properties of its sand and water. This, coupled with the stunning beauty of it all, makes a visit 100% worth the mess of walking through its quicksand shores! We spent the first two nights of the road trip in Pamukkale (or “cotton castle” in English). This cotton castle might not be as popular as Cappadocia, but it’s one of the most photographed places in Turkey because of how extraordinary it is, which is reason enough to make a slight detour from our coastal Turkey road trip. The travertines you’ll find here (pictured above, in shimmering white) are the base of an ancient Greco-Roman town located at the top of a hill, which served as a thermal spa in the 2nd century, B.C. These calcareous rock pools consist of white carbonate minerals that form a sort of limestone terrace. As you’ll notice, some of these natural pools are filled with sky-blue mineral waters. It’s breathtaking. 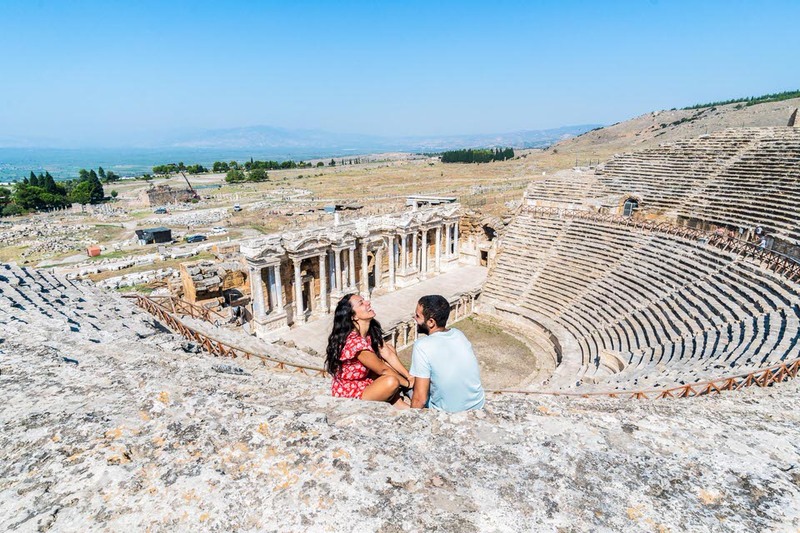 If this part of Pamukkale wasn’t stunning enough, at the top of the travertines you can see Hierapolis, the restored ancient Greco-Roman city that is a protected UNESCO World Heritage site today. There’s an enormous open area populated by ancient remains: majestic doors leading to the city, the main theatre, and the Temple of Apollo or Plutonium. For an added cost, you’ll also have access to the Hierapolis Museum or the “Cleopatra pool” and its climatized waters. While we didn’t make it over to the museum, we did check out the Cleopatra pool, but we didn’t think it was worth it. Because of all the people continually running around it and the cafes that neighbor it, it’s just much less authentic than taking a bath in the travertines with their remarkable views. We suggest taking a look at the Cleopatra pool before buying the ticket! 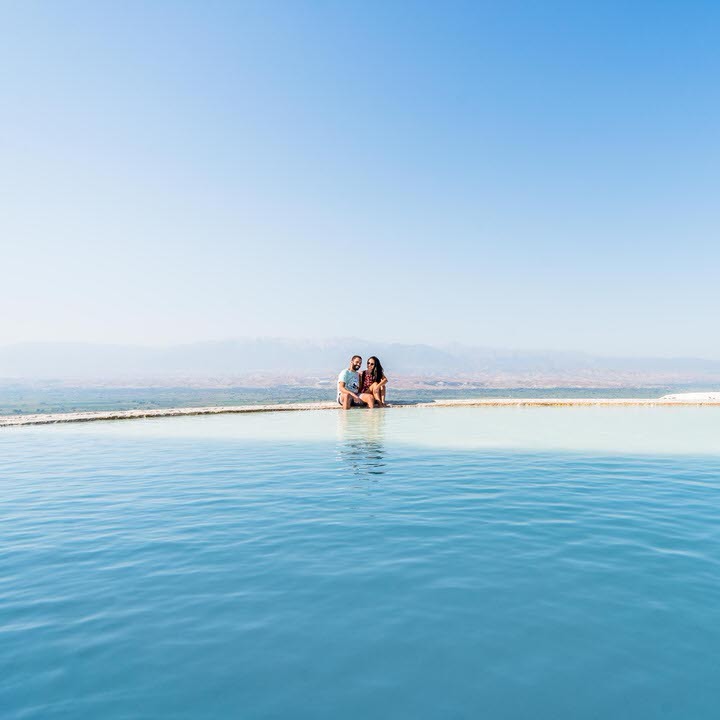 At the time of our visit in the summer of 2018, access to Pamukkale cost 35 Turkish lira ($5-$6), and as always, if you want to get in before the crowds, we recommend you to visit early in the morning (definitely before noon). Doors open at 8:30 am, while the south gate opens at 6:30 am. Doors close at 9 pm during the summer and at 5 pm during the winter. Bonus visit: Since you’re in this area, if you’ve got the time and want to visit a city, Denizli is just a few kilometers away! Ölüdeniz was our first turquoise coast visit after passing through Pamukkale and its amazing travertine pools. Ölüdeniz left overall bittersweet memories. The small town is surrounded by a beautiful blue lagoon and endlessly rolling hills, but the experience of being in the city felt like some parts of Mallorca or Tenerife in Spain: no local cuisine, everything was in English, it was noisy everywhere, and there were tourist-traps at every corner. Don’t get me wrong: I would revisit it because there’s nothing like the nature that surrounds it. I just wouldn’t stay overnight (again). Ölüdeniz is perfect for boat rides that explore its beaches and neighboring hidden spots — just don’t buy the $10 boat rides, because they’re completely inauthentic experiences: English music from the 80’s, incredibly pricey drinks, dozens of people, and a crew that’s trying to sell you pictures of a parrot on your shoulder. 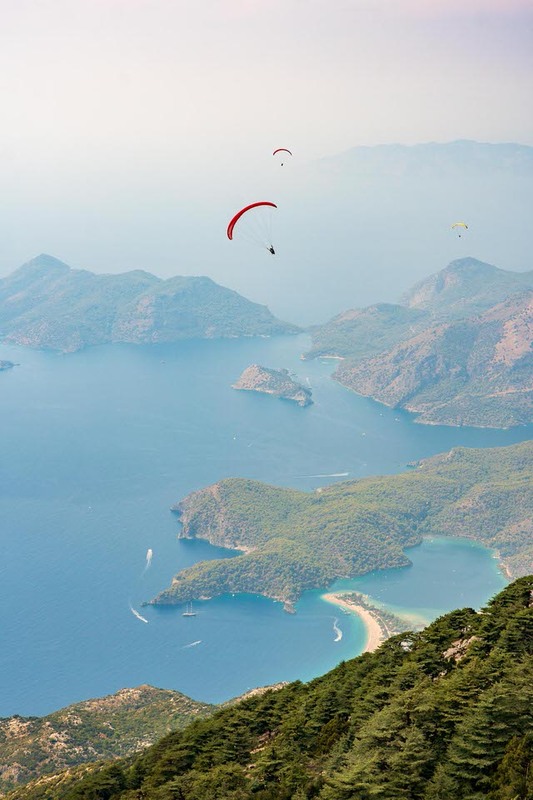 Ölüdeniz is where I had one of the most incredible experiences of my life: Paragliding at 1,900 meters of altitude over the big blue lagoon. This alone made the visit to Ölüdeniz worth it. Keep in mind, I’m the opposite of an extreme/adventure sports lover and I’m really afraid of heights. I just gathered the courage to paraglide — I swear I wanted to puke and cry as I was waiting for the moment to jump. All in all, this is now an experience I recommend to everyone! And for those wondering, there is no free-fall feeling. (I can’t handle a roller coaster or free jumps!). Kabak is my favorite spot from the entire Turkey road trip. This slice of paradise exists only 40 minutes away from Ölüdeniz. Kabak is a little tricky to access but has tranquil bungalow camps with some of the most amazing views we saw on the entire trip. This is the perfect place to relax and connect (or reconnect) with yourself or your loved ones. This place inspired me so much. It made me want to wake up early enough in the morning — something that only happens once every leap-year — to enjoy the sun rising behind the mountains from the balcony of my bungalow. If you’re looking to visit Ölüdeniz, this is an area I recommend you stay at this hotel overnight. Unfortunately, due to time constraints, we only spent a little less than 24 hours here. Under any other circumstances, however, I would have spent the entire week here! After our experience in Ölüdeniz, I feared that Kas might be somewhat similar. Thankfully, it wasn’t at all. We spent three nights in this quirky seaside town, exploring as much as we could in the meantime. 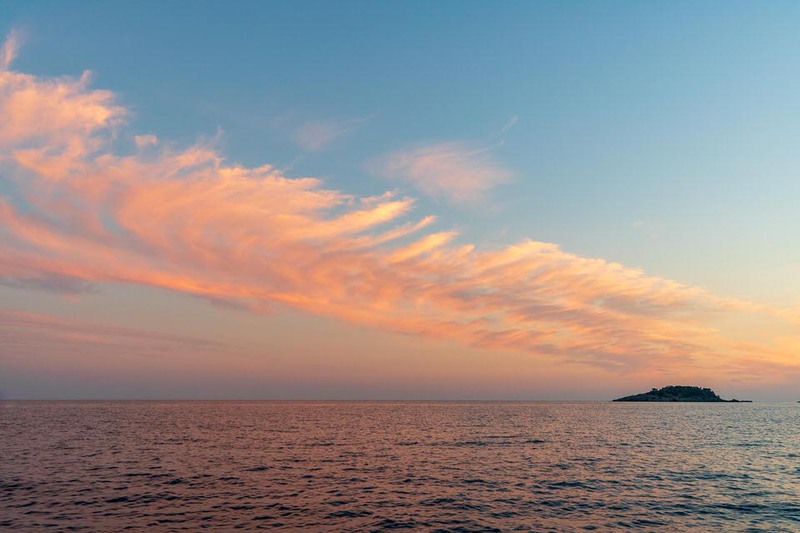 This small town has a little bit of everything: a remodeled ancient Roman Theatre, and lots of restaurants and little homegrown shops that sell local products, all next to an inviting beach that’s ready for you to jump in and enjoy the amazing views. There are more Roman ruins just next to the city and a Greek island that’s only an hour away by boat. And even though you’ll find a fair amount of tourists in Kas, the city still manages to keep its charm and authenticity intact. We loved the colorful streets, many of which were filled with restaurant-filled terraces where you could sit down for a meal, dessert, or drinks. This is a small place that prepares different meals on different days and has it all on display for you to pick. Try to go early in the afternoon because they eventually run out of everything! This is where you come for the best desserts — especially the Trilece, which we think is the best in all of Turkey! Trilece in Turkey — please eat more than one of these for us! One of our favorite things to do in Kas (and on this entire Turkey road trip) was to drive around and find hidden beaches. 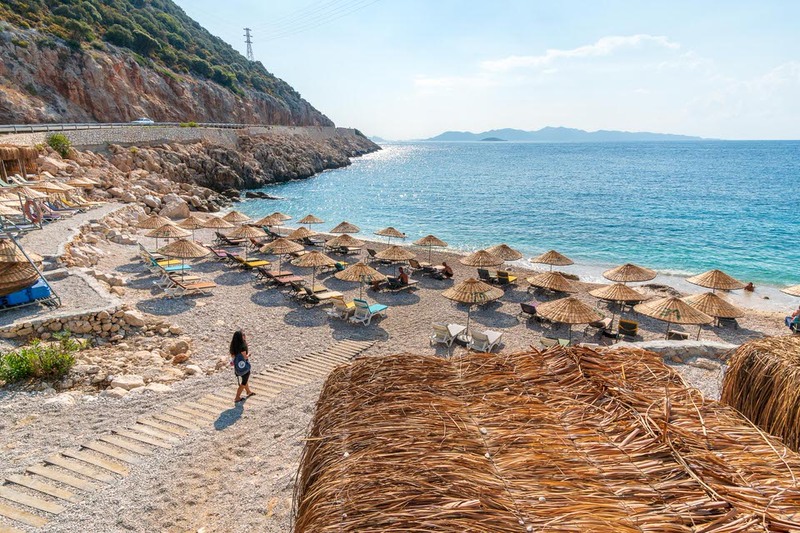 We visited one of the most popular ones, “Kaputas Beach,” but ended up falling in love with (and revisiting) a nameless beach that was about 15 minutes away from Kas. We stopped by Demre while on our way back to Antalya to check out the ruins of the Greek ancient city of Myra. These Myra ruins are most impressive because of the rock tombs it has carved into its stone walls, all next to a theater and other ruins from 4th to 5th century, B.C. We loved being able to travel back in time (as much as 2,000 years!) from one moment to the next. Then, on our way back to Antalya, we probably witnessed one of the most beautiful beaches we saw on the entire trip. It was an absolute hidden gem, and sometimes entirely empty. 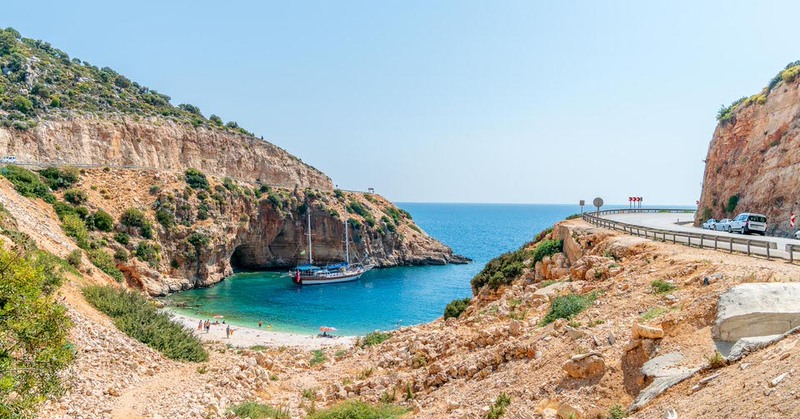 We definitely recommend dedicating some time to this part of Turkey and hopping on and off different beaches and exploring the nearby caves as well. This is truly one of the most wonderful and underrated parts of Turkey. There are tons of places we didn’t get to see and the time that this route takes you is open-ended: it all depends on you and your preferences. All in all though, we think this is a great way to get a taste of what the Lycian coast has to offer. Have any suggestions for this road trip? If not, what road trips have you taken that have left you with unforgettable memories?